Pleasant Grove African Methodist Episcopal Church was organized on June 29, 1869, at Taylor’s Creek Georgia. 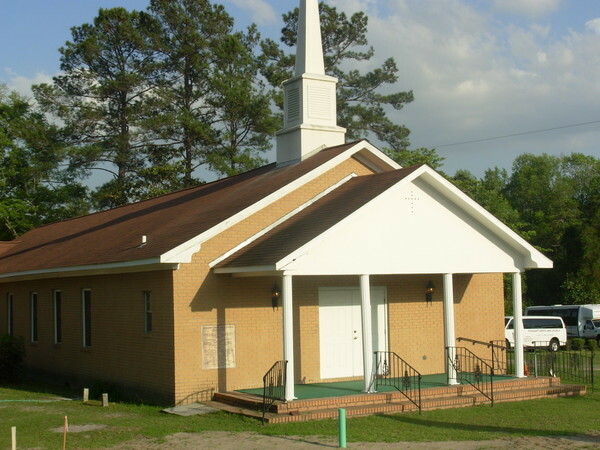 This church was commonly known as Taylor’s Creek Church; however, it was officially named African Methodist Episcopal Church of the United States of America. Reverend Piner Martin, a local community leader, was the first pastor. The 16.6 acres of property that was purchased for the church included a small frame house. It was in this house that services were held. Later as the church membership grew the first official church was built. The members’ men, women, boys and children hauled lumber and other materials to build the church. It has been said that even the shingles were handmade, and the logs hauled by oxen. Upon completion, the church was named Pleasant Grove. In 1941, the church, its property, and member’s homes were purchased by the United States Government. The place that was once the home of our church since slavery and now commonly referred to as the “area” or the “reservation is now the Fort Stewart U. S. Army Installation. The members were given a small price for their property, church, and homes. Families scattered into Hinesville, Savannah, Ludowici and surrounding cities and counties. In 1942, the Trustees purchased five and one –half acres of land from S. P. Porter in the Allenhurst Community on highway 38; this would be the site for the new church. Reverend Jackson asked Brothers Rush W. Bacon, J. Fisher Slater, Wallace Frasier, Ross Baker, and Israel Frasier to oversee the building of the new church. Elder Jones was hired to do the carpentry work along with Rush Bacon’s son Leroy Bacon. Money was tight due to the war. Food, gasoline and other materials were rationed. Stamps were issued by the government for food and gasoline. Rush Bacon, being a large property owner and self-employed businessman donated all lumber and nails to build the church. He and his sons cut the timber and hauled it with his truck to the Herbert sawmill in Walthourville, Georgia to be turned into lumber. Because of the shortage of nails, an old house was torn down. The nails were pulled from the boards and straightened with hammers to be used for the new church building. These men of the church were loyal and dedicated. They would lay down their work on the farm to help with the building of the church. Women and children did their fair share by straightening nails, helping with painting, providing food or whatever tasks they could. After months of hard work and long hours, Pleasant Grove was reborn. In the year 1942, the doors were opened for service. People came from miles around that had scattered into nearby towns. This included former Pleasant Grove members and members of churches that did not re-establish themselves after departing Taylors Creek, Willie, and other communities now on Ft. Stewart. Our forefathers have laid the foundation and started the fire burning. It is up to each generation to toss another log on the fire to keep the flame alive. We thank God for all He has done.